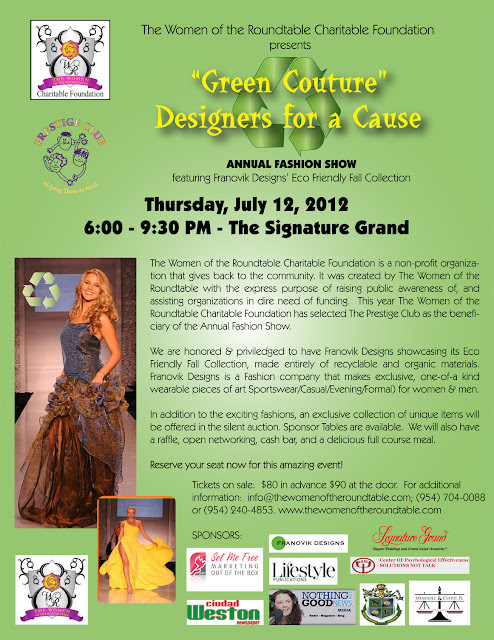 Franovik does it again for Elements of Green, our fashion show division. The Women of the Roundtable, a 501c3 company directed by Doris Muscarella, fundraises for a great cause; Women of the Rountable and Franovik Designs unite forces to raise funds for the Prestige Club. Join us at the Signature Grand in Davie on July 12. Sponsorship opportunities available.